A new study examining those using cannabis as a substitute for opioid-based pain medication indicates medical cannabis comes out on top; providing relief with fewer unwanted side effects. A HelloMD survey was carried out in in collaboration with University of California Berkeley of 2897 medical cannabis patients, all of whom are part of HelloMD’s network. Thirty percent of respondents reported they were currently using an opioid-based pain medication or had done so in the past 6 months. 81% “strongly agreed/ agreed” cannabis by itself was more effective than taking cannabis with opioids. 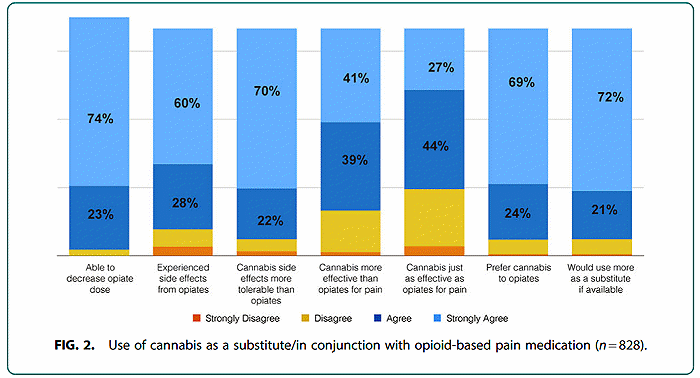 80% “strongly agreed/ agreed” cannabis was more effective than opiates for pain. “Cannabis has been used throughout the world for thousands of years to treat pain and other physical and mental health conditions,” said Amanda Reiman, PhD, MSW, a Lecturer in the School of Social Welfare at UC Berkeley and study lead. The full paper on the study, Cannabis as a Substitute for Opioid-Based Pain Medication: Patient Self-Report, can be viewed here (PDF). According to the Center for Disease Control and Prevention (CDC), more than 183,000 people died in the U.S. from overdoses related to prescription opioids from 1999 to 2015. The problem has been getting worse over time. In 2015 alone, more than 15,000 people died from overdoses in the USA. Every day, more than a thousand people are treated in the nation’s emergency departments for issues arising from not using opioids as directed. As for statistics of those who died from cannabis overdoses during the 1999 to 2015 period; as far as we can tell, the number was zero. While the HelloMD study was based on patient perception and not on an objective measure of cannabis and opioid use, it’s not the first to indicate the potential of medical cannabis in dealing with the growing opioid epidemic. In March we reported on a study of hundreds of patients with prescribed medical cannabis that found 63 per cent reported using cannabis instead of their prescription drugs – including opioids. 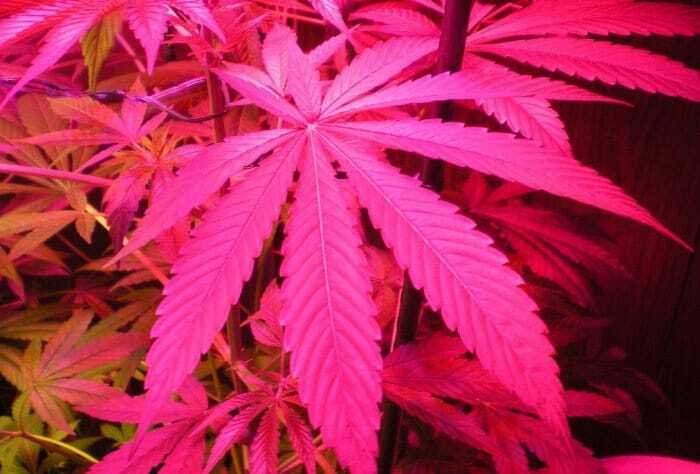 An earlier study found patients with chronic pain and using opioid medication were able to reduce use of these drugs by 64% with medical marijuana.